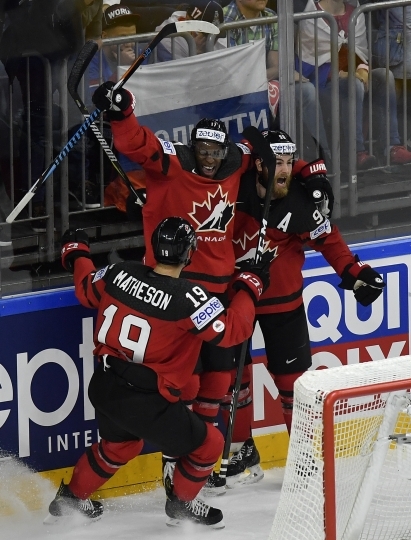 COLOGNE, Germany — Two-time defending champion Canada and Sweden will contest the final of the ice hockey world championship after winning their semifinals in contrasting style on Saturday. 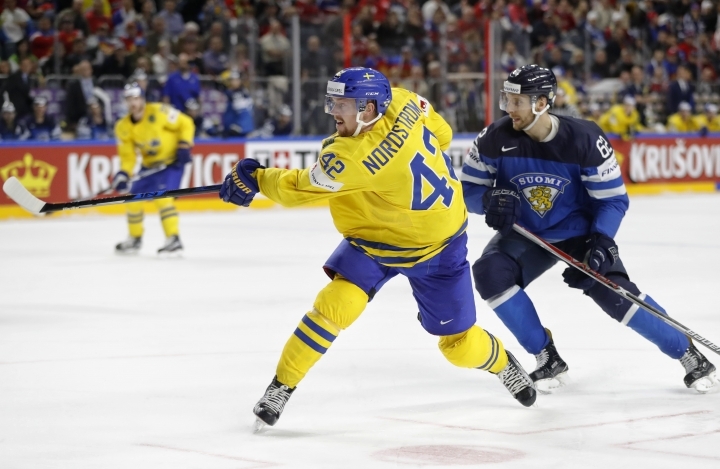 Canada stunned Russia by coming from two goals down in the third period to win 4-2, while Sweden comfortably beat Finland 4-1. "I said from the start we need to play our best game in the end and that hasn't changed," Sweden captain Joel Lundqvist said of Canada. "We need to be even better tomorrow." Nate MacKinnon led the Canadian revival, setting up Mark Scheifele on a power play, then equalizing with his sixth goal of the tournament. Ryan O'Reilly scored the game-winner in a goalmouth scramble with only 3:02 remaining. Sean Couturier made sure with an empty net goal. "Suddenly it was a different game," Russian forward Artemi Panarin said of Scheifele's first goal for Canada. "We got nervous, and that's why we lost." 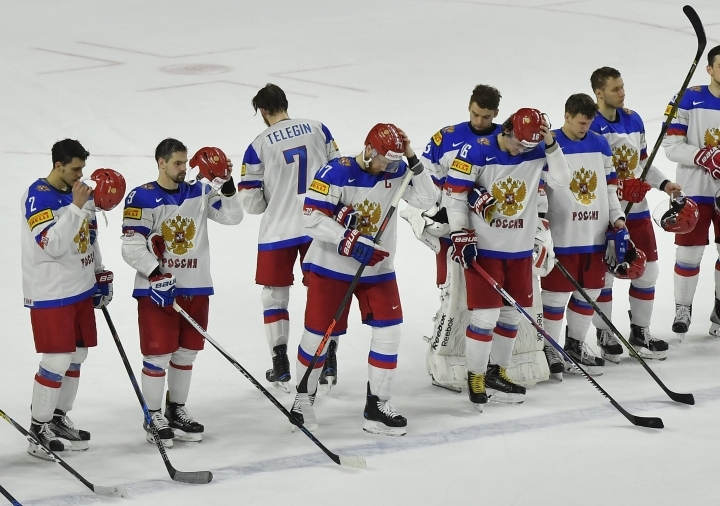 Goals in the second period from Yevgeni Kuznetsov and Nikita Gusev put the Russians in a commanding position, but Artyom Zub was penalized for slashing at the end of the period, and Canada pounced. Canada had 19 shots compared to Russia's five in the final period, taking their game total to 38, though they were grateful, too, to Calvin Pickard for some good stops in the first two periods. The Canadian goaltender made 26 saves altogether. "Our backs were against the wall going into the third period, and we just regrouped and came out and played our game," Pickard said. Russia forward Sergei Andronov bore the brunt of the opening exchanges, resulting in a penalty for Scheifele. Then he was hammered behind his goal by Brayden Schenn. 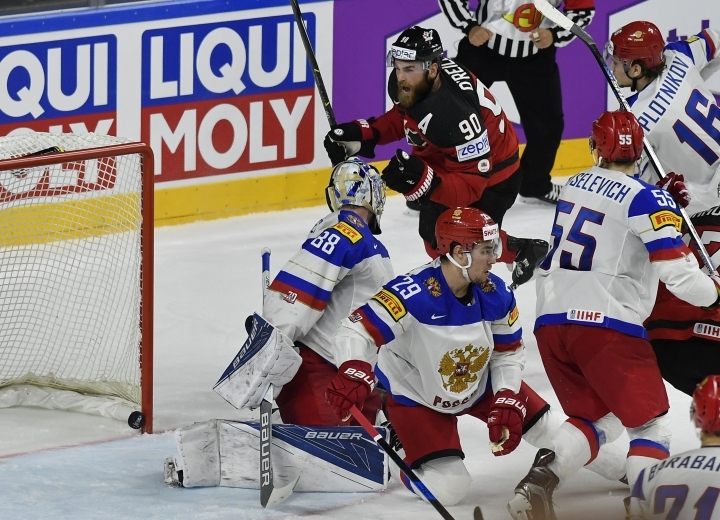 Four penalties in the second period helped Russia's cause. Both sides were at full strength when Kuznetsov broke the deadlock midway through the second period, tapping in at the far post after brilliant interplay between Panarin and Nikita Kucherov. Gusev made it 2-0 on a power play after Wayne Simmonds was penalized for slashing. Panarin was again involved in a three-on-two, this time with Vadim Shipachyov, as he took his assist-tally to a tournament-leading 12. Panarin also has four goals. 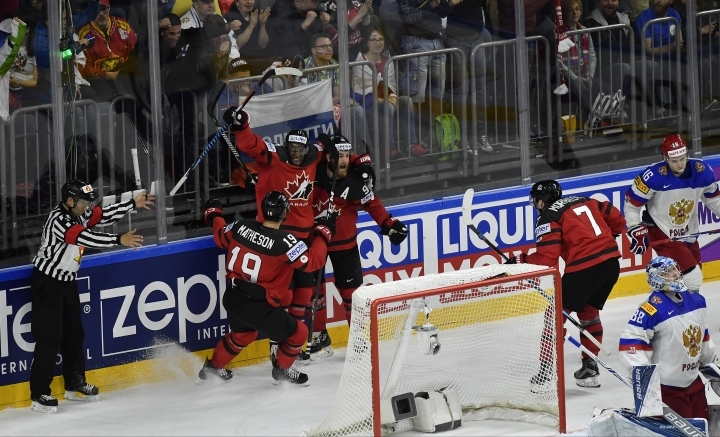 Canada came out flying for the third period to turn the game around. "We needed something to get us going, whether it was just a couple of good chances or scoring," O'Reilly said. The Canadians are bidding to match the 27 titles won by Russia or the Soviet Union. Sweden won its ninth and last title in 2013. "It's going to be the toughest game in the tournament," Lundqvist said of the teams' eighth final. Canada leads 5-2 overall. The late additions of Lundqvist's twin brother, Henrik, and Nicklas Backstrom are paying off for Sweden. 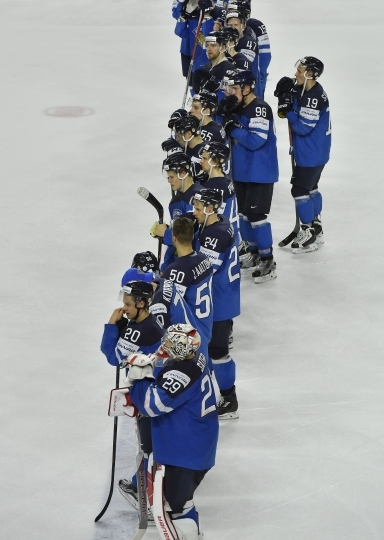 The latter got his team off to a great start when he set up Alexander Edler inside the first two minutes before Joonas Kemppainen equalized for Finland. Henrik Lundqvist ensured it was the Finns' last goal. He made 22 saves altogether. 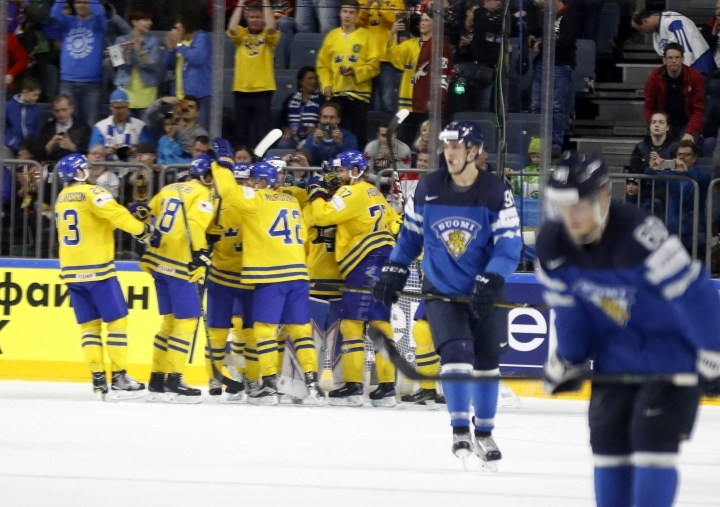 The Swedes made the most of penalties to go ahead in a bad-tempered second period. Valtteri Filppula went off for tripping and John Klingberg scored straight away on the power play, before William Nylander made the most of another with another Backstrom assist. The second period ended in a brawl and both teams had players penalized for roughing. Finland pushed hard in the final period but Joakim Nordstrom sealed it with six minutes remaining. "We really played well as a team in our last two games. I think that's our strength, our team effort. That's what we gotta do tomorrow, too," Edler said. "It's going to be a good hard final."